VIABTC is now launching our cloud mining product — an easy way for EVERYONE to mine your own Bitcoins. Their first cloud mining contract — ViaBTC S9 will run with Antminer S9, the most advanced mining rigs today. All cloud hashrates will come from the miners ViaBTC purchases and deploys. Now they have deployed their Batch 1 of 2.4 PH/s cloud hashrates for global customers to purchase. 4. Mining income: The miners will mine in ViaBTC pool which adopts a PPS+ method. The mining income will be the theoretical PPS+ yields which won’t be affected by the operational conditions of miners. 6. Redemption of miners: To guarantee efficiency, all miners will run in high-standard facilities and in ViaBTC pool. Redemption of miners and change of mining pool are not available for the contract. 7. Termination of contract: The contract will be terminated automatically when there’s zero actual yields for 10 consecutive days. ViaBTC will redeem all contracts priced with the remaining value of the miners at the time. All miners will be owned by ViaBTC. 4. Effectiveness: We will confirm your order and start to calculate the yields within 24 hours on receiving your payments. 3. Warnings: Price fluctuation is frequent for Bitcoin and the mining difficulty will be adjusted every other week. Price drop and increase of difficulty will lead to a drop of mining income per SHARE. ViaBTC won’t promise a 100% ROI whether in Bitcoin or fiat money terms. Please evaluate the risks you can handle before investing in Bitcoin mining. 2. Our cloud mining exchange platform is under development and will be soon integrated into www.viabtc.com. At that time users can freely trade their cloud mining contracts. 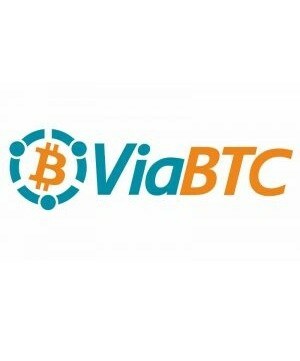 Early-stage contract holders can direct their contacts to www.viabtc.com then by signing their wallet addresses. 0 Comment to "VIABTC | Review | Bitcoin Investment and Cloud Mining"